The global automotive industry is gradually shifting from a manufacturing focus to a more customer-oriented services approach. China is not only leading in new mobility options but has probably moved the furthest in phasing out traditional internal combustion engine (ICE) ownership. Motivated by serious pollution issues, the Chinese government has set aggressive targets on xEV, and more generally on what it calls "New Energy Vehicles" (NEV), with further supportive policies expected. This - combined with the fact that owning a car was never as common as in Western countries – has turned China into an exciting playing field for new mobility solutions, whether from pure players (such as Didi) or traditional OEMs. As China's cities continue to face rapid population growth, the demand for transport solutions ever increases. Car-sharing is booming around the country, with annual growth rates of 45 percent predicted until 2025. But Chinese ride-hailing companies are branching out beyond their traditional business and rapidly expanding up the value chain: no longer do they just provide a platform that connects clients with available cars, they now offer maintenance, have installed their charging stations, are selling services such as traffic management and optimization to city councils and are even thinking of building their own cars. With more than 80 percent market share, Didi dominates China's ride-sharing market. While Uber has undoubtedly proven its competitiveness on a global stage, it struggled to keep pace with Didi in China. In August 2016, after a bruising and costly battle for market share, Uber China ceded to rival Didi's $35 billion offer and abandoned the Chinese market. Will the popularity of ride sharing in China continue to rise? We believe the expected growth comes down to three factors. First, people are increasingly looking for more options than taxis can deliver. That's where a company like Didi with its taxi-hailing, premium-car, carpooling and bus-sharing services comes in. Secondly, chauffeur services offer a wider variation of customer options and reach more client segments. For example, Didi offers customers professional chauffeurs driving luxury vehicles. Premium beverages offer a personal touch. Finally, regulations are helping ride-sharing to thrive. Chinese central and local governments are promoting the ''sharing economy'' and are helping to optimize cost structure. 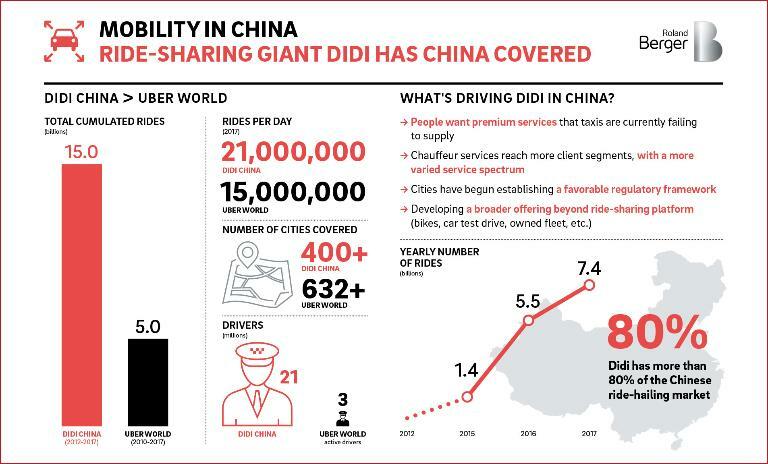 Given its success in China, Didi is bulking up to expand internationally. Next, Didi has expressed interest in developing electric, self-driving vehicles that offer customers a more comfortable riding experience. By eliminating the driver, Didi can build a car model that offers more space and reduces the cost of service by about two-thirds. In addition, Didi recently raised $4 billion in capital, which it plans to use for artificial intelligence research. 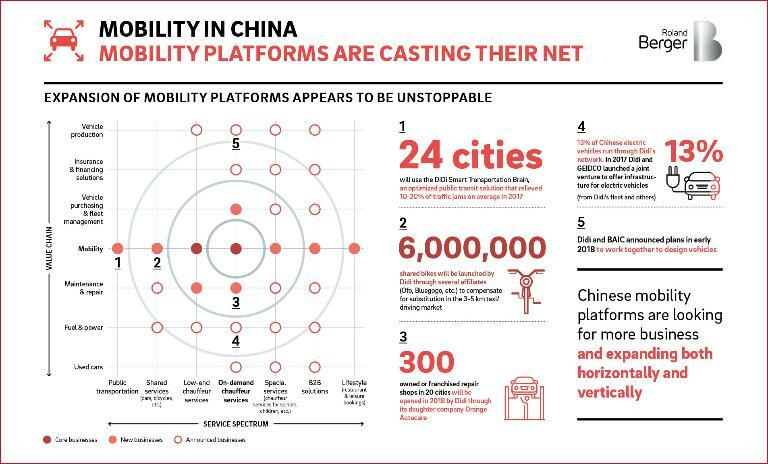 A closer look at the mobility market in China unearths some surprising revelations – and explains why new mobility options are gaining traction in the People's Republic. In comparison to Western nations, people in China have a vastly different relationship with cars. Despite low levels of car ownership, a large percentage of the population has a driver's licence. This means the market for new, flexible renting options is massive. 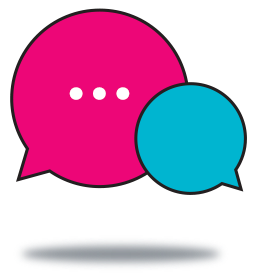 Wide adoption of the "sharing attitude" has contributed to the rise of peer-to-peer platforms. Recent technological progress has allowed for the development of simple solutions for car-sharing (unlocking, starting, monitoring and location), such as the "sharing button" on Lynk & Co SUVs. 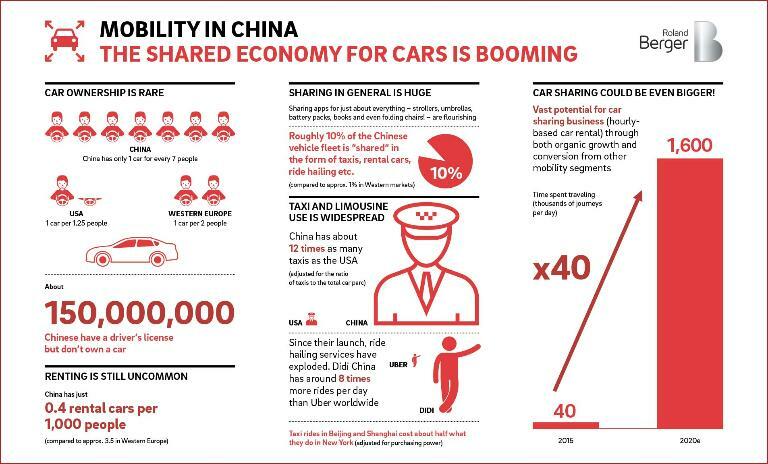 The potential for car-sharing is huge, not only in China, but also internationally. Interested in learning more? Discover more facts and figures in our infographics – and contact us, we look forward to discussing the topic with you.